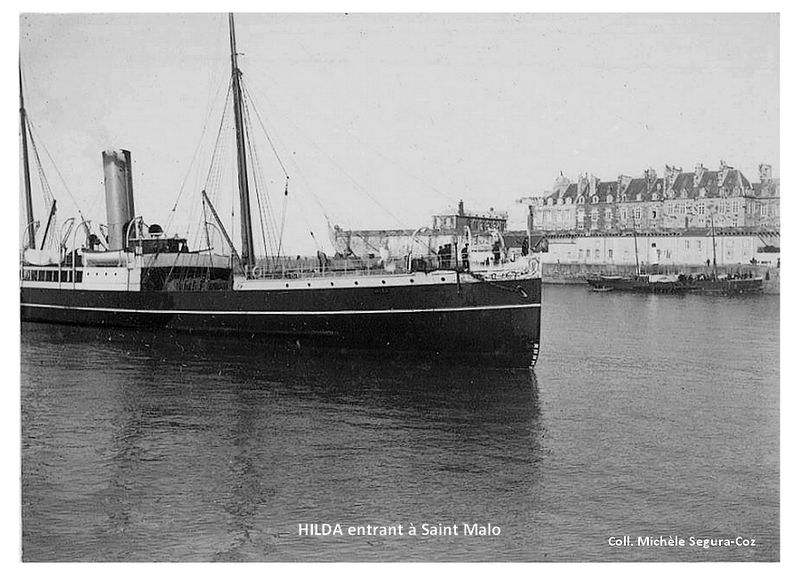 It was about 11 pm on the 18th of November 1905, when in a stormy weather the cross-Channel steam packet HILDA, belonging to the London & South-Western Railway Company, bound to Saint Malo was wrecked on reefs called Les Portes a few miles off this harbour. 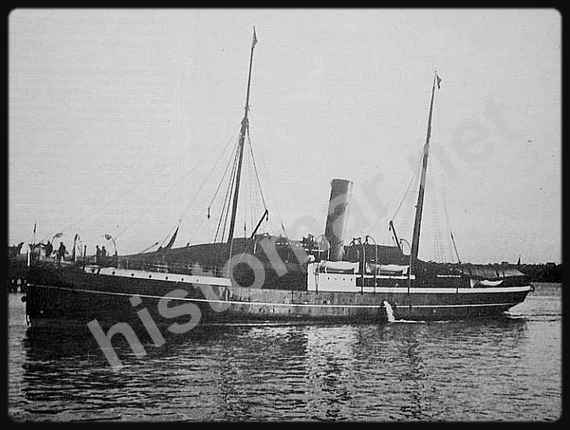 One hundred and twenty five passengers and crew members were to lose their lives in that shipwreck. Those pages are a tribute to their souvenir. 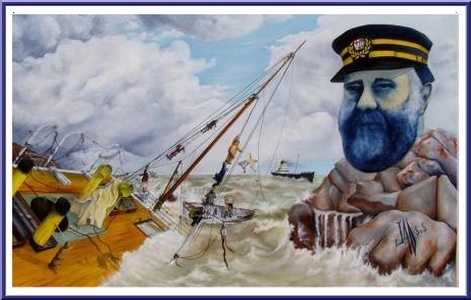 Hilda is also a group on Facebook, join us. 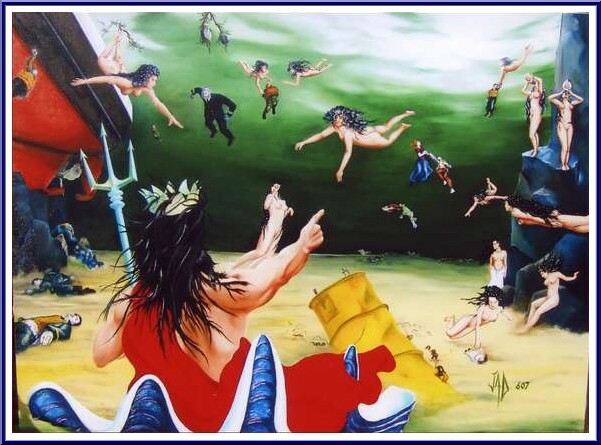 After having previously painted the rescue scene of survivors by the Ada, Joel this time is painting under an allegoric way the reception of the victims by Neptunus and Nereids in their underwater Kingdom. 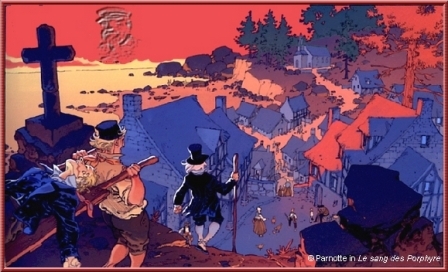 On this painting, one can recognize amongst the victims, Captain Gregory as well as Louis and Mary heroes of "La Pierre des Portes". The above pictures are copyright protected and may not be either reproduced or published, even on the web, without prior authorization by the author.